Where should the Twitter feed be placed on our homepage? 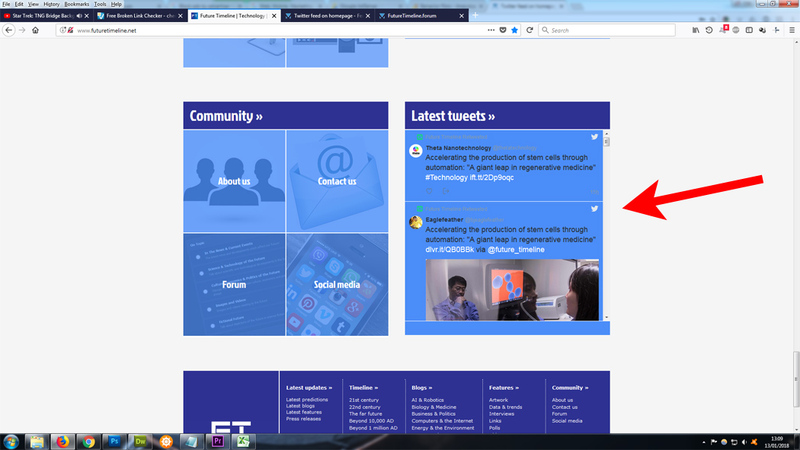 During the redesign of the main site's homepage, we moved our Twitter feed from the top-right of the page, to the bottom-right. This allowed us to make the "Welcome" message for newcomers a lot more prominent. I have an interesting theory that this might have negatively affected our traffic and readers' behaviour/navigation on the homepage. Were you a regular viewer of the Twitter feed before the change? Do you think it should be moved back to the top of the page, or would you prefer it to stay near the bottom? Or should it be moved somewhere else entirely? Please vote in the poll above, and leave your comments below. Shouldn't you run an experiment and measure the traffic over, say, a 1-week period, with the Twitter feed in each location? I think having the twitter feed as visible as possible is the best idea since if there are regular updates it makes the website look more active and up to date to newcomers.